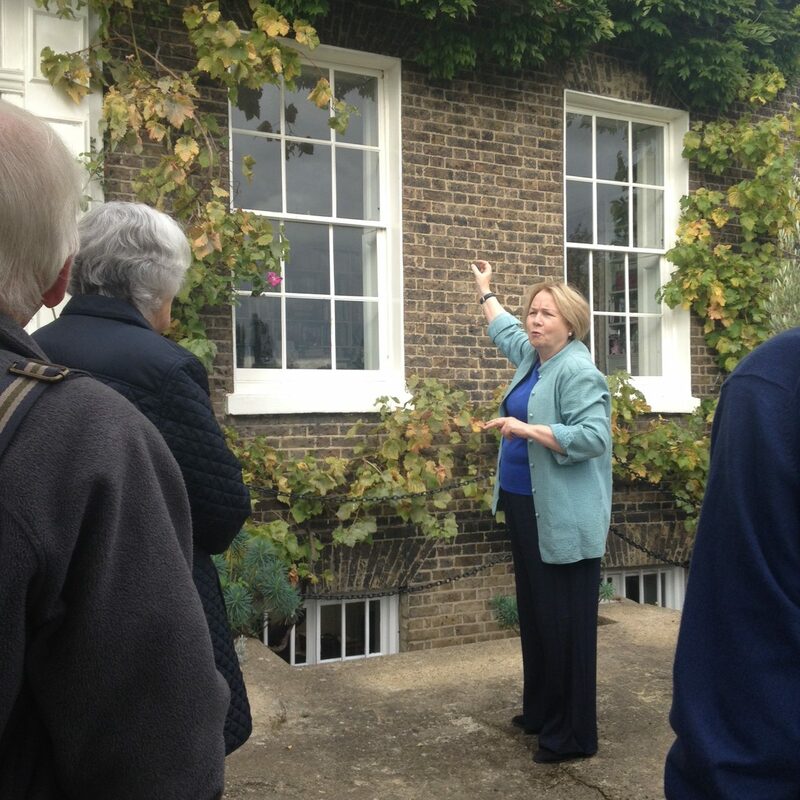 AMS Members visited Kelmscott House in Hammersmith on 20th October 2016. 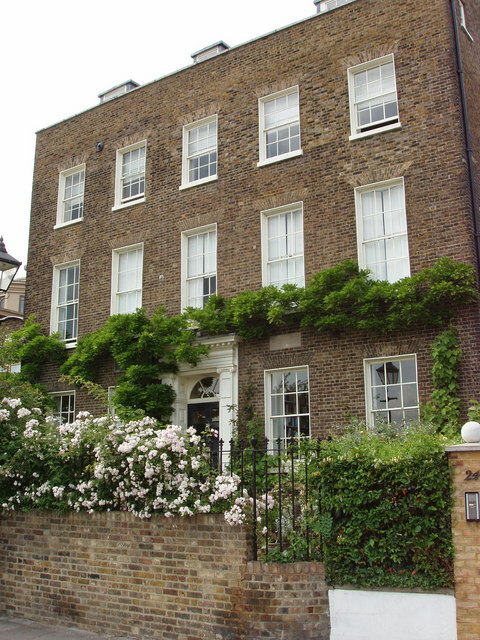 This fine building was once the home of William Morris, the founder of Architectural Conservation as we know it, as well as a consummate artist in stained glass, textiles and murals. We began with a perfectly pitched introduction from Helen Elletson, Curator of the William Morris Society Museum, located in the basement and coach house. 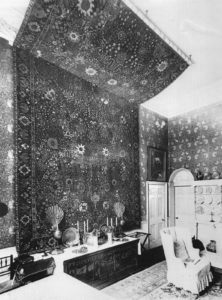 She told us how William Morris and his wife Jane had taken over the house from children’s author George MacDonald in 1878, and made it their own with carpets, tapestries and wallpaper by Morris & Co until his death in 1896 (many designs can be seen in the museum, reopening after refurbishment in November). Residents Joy & Jock Birney showed us the upper floors of Kelmscott House as they are today, of which they are both passionate and extremely well-informed guardians. Henry Duckett, an AMS member who worked for the GLC at a less certain stage in the house’s preservation had brought along his archive photographs of the house as it used to be, which were fascinating to see both in comparison with the William Morris Society’s pictures of the house in 1890 and with how it looks today. Leslie Du Cane gave a wonderfully animated account of the development of River House, from the exterior somewhat squashed to the right of Kelmscott House, but with much to see behind the façade. Alison Du Cane, previous Assistant Secretary of the AMS, was on hand to greet members and provided tea and a hugely welcome array of cakes to follow the visits. We would like to thank Joy & Jock Birney of Kelmscott House, Alison & Leslie Du Cane of River House and Helen Elletson and Cathy de’Freitas at the William Morris Society museum, all of whom helped to make the day such a success. We look forward to our next visit to Harlaxton Manor on 18th November.